I love smartphones. I really do. They make our lives easier in so many ways. In my presentation-skills seminars, for example, participants find it easy to use their phones to record their talks. And if you can’t remember the date of an event or the name of someone famous during a conversation, it’s so convenient to be able to look up the information on your smartphone. But in the workplace, there are many ways people use their smartphones that are rude to others. After talking to many business professionals and observing the behavior of numerous attendees in meetings and in my seminars, I compiled this list of the “top 10” things people do with their phones that annoy others. Do you recognize any of these behaviors? 2. Placing two phones on the table. Some people carry both a work phone and a personal phone. This doubles the insult! See above. 3. Using a cell-phone holder. When a phone is placed in a holder, the phone is upright on the table. People are no longer sneaking glances at their phones, they are directly looking at them while “listening” to others! This is just so rude. Read #1 again. 4. Using a Bluetooth headset. This looks like a cockroach in your ear. (Yes, I do have strong opinions about this.) I am not talking about the hands-free headsets that receptionists use. I am talking about the headsets worn all too often by people who chat away as they walk around the office, looking as though they are talking to themselves. Or, even worse, you think they are talking to you. 5. Wearing a Bluetooth necklace. Though these necklaces may be more discreet initially, once you use those earbuds, it’s too easy to leave them in your ears or let the cords dangle on your chest. 7. Forgetting to put your phone on vibrate. This can happen to anyone. I know. I have forgotten. If this happens to you, say, “I’m sorry,” and turn the phone off immediately – and be especially apologetic if your phone continues to ring because you can’t find it quickly. 8. Answering your phone during a meeting – and then starting a conversation while walking out of the room. The reality of business today is that sometimes you must take a call during a meeting. But please wait until you are out of the room before talking. In some circumstances, you may need to answer and say, “I will be with you in a moment.” But again, wait until you are outside the room before you have your conversation. 9. Speaking too loudly. I have been talking about the need for people to lower their voices for years. Many people speak far too loudly when they are on their phones. Speak in a quiet, conversational tone. If you don’t, others may overhear your conversations, including any sensitive or confidential information you discuss. 10. Using a ring tone that startles or scares people. You don’t want your colleagues or business associates to be shocked when your phone rings. What annoying phone habits have you observed in the workplace that are not on this list? Please add your comments. I appreciate you for thinking on very important topic and give top 10 Smartphone Annoyances in the workplace which show our behavior at our workplace. 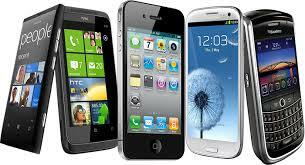 Day by day smartphones are involved into our daily lives because of the multiple uses. And people cannot live without in this modern age but sometime over usage of smartphone is effect on our behavior. So being as a history essay writer - http://www.essaywriter.org.uk/history-essay/ at Essay Writer UK, I think this is a very important thing you discussing here and we all have try to change our annoying phone habits at our workplace. You very nicely explain here top 10 ways of smartphone annoyances in the workplace. The annoying phone habits and badly use of smartphone at our workplace show our rude behavior and sometime down our impression. And I am happy to recommend this business etiquette tips to my students who are soon graduate and join new job after complete their graduation and now usually getting assignment help Australia price from experts on several subject such as marketing, finance, economics, nursing and human resource at Assignment Help Folks which is Australia’s well-known educational writing services provider consultancy. Thank you.